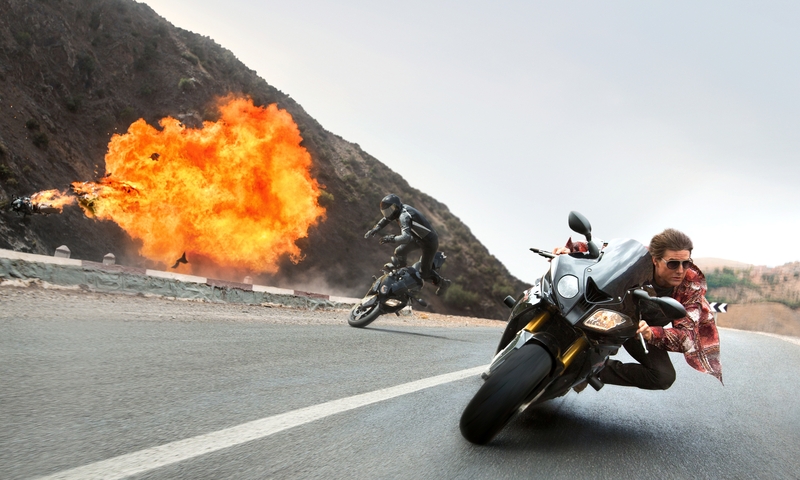 Mission: Impossible Rogue Nation Hits Home Video In Time For Christmas! The fifth entry in Paramount Pictures’ long-running series, Mission: Impossible Rogue Nation is coming to DVD and Blu-Ray/DVD Combo Pack on December 15th – Digital will be available four weeks earlier, on November 17th. Blu-Ray Special Features include: Commentary with Tom Cruise and writer/director Christopher McQuarrie and seven featurettes. Follow the jump for more. Mission: Impossible Rogue Nation – Scintillating Summer Fun! I’m not sure M:I Rogue Nation is better than Ghost Protocol (which was pretty amazing) but it is certainly its equal. Scared $#!+less Clip: Mission: Impossible Rogue Nation! 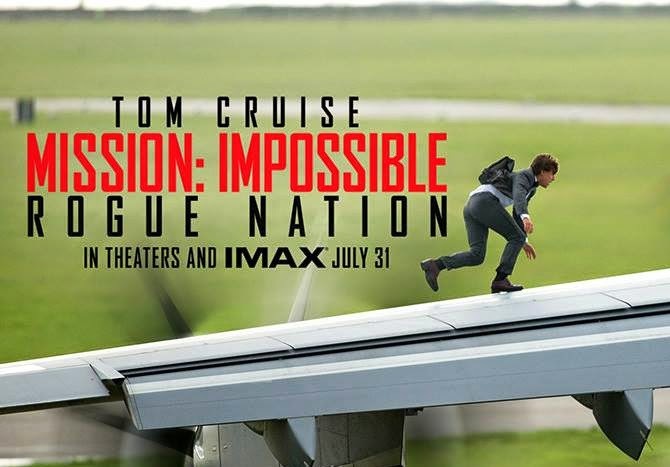 If you need proof that the stunts Tom Cruise performs in Mission: Impossible Rogue Nation are real, just follow the jump for a brief behind-the-scenes clip dealing with that feature stunt from the movie – Cruise hanging off the airplane while in flight. Mission: Impossible Rogue Nation opens on July 31st. 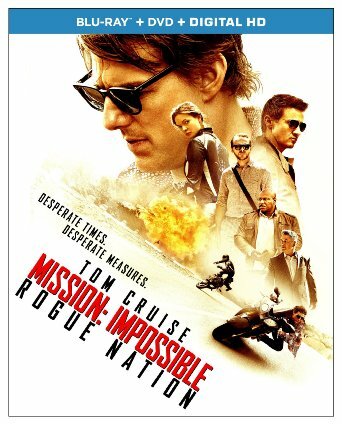 Canadian Chain Sets One-Day-Only M:I Rogue Nation Event with Tom Cruise and Christopher McQuarrie! Canadian fans of the Mission: Impossible movies will have a chance to attend a special, one-day-only event at select Cineplex locations on Monday, June 27th at 8:15 pm. Following an advance screening of Paramount Pictures’ Mission: Impossible Rogue Nation, a Q&A session with Tom Cruise and director Christopher McQuarrie will be streamed in those select theaters. Attendees will receive limited edition posters and souvenir lanyards while supplies last. For details, follow the jump. See Sneak Peek of Mission: Impossible Rogue Nation in IMAX® Theaters With Terminator: Genisys! Can’t wait to see more of Mission: Impossible Rogue Nation? The five minutes of the new Tom Cruise thriller will run exclusively ahead of the screenings of Terminator: Genisys in its IMAX® screenings – beginning with the Thursday evening screening on June 30th. Anti-IMF Trailer: Mission: Impossible – Rogue Nation! There’s an anti-IMF organization out there called The Syndicate – the rogue nation of the film’s title. The only tool we have for beating The Syndicate is the Impossible Missions Force – or rather, did. The IMF has just been dissolved and its members are wanted by the CIA. Check out the new trailer after the jump. Mission: Impossible – Rogue Nation premieres on July 31st. M:I-5 Is Now Mission Impossible: Rogue Nation! 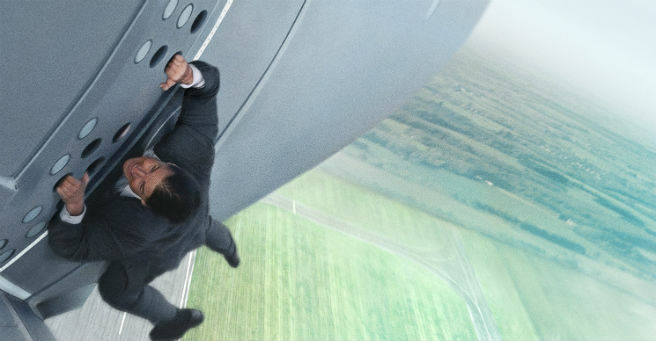 Ethan Hunt is back and Mission: Impossible 5 has a name – Mission: Impossible Rogue Nation. The first teaser trailer has been released online and will be seen during NCAA March Madness, today. If you thought Hunt and his team had faced impossible odds before, well that’s just peanuts to Rogue Nation. Why? Check out the teaser after the jump and see for yourselves! Mission: Impossible Rogue Nation opens July 31st.